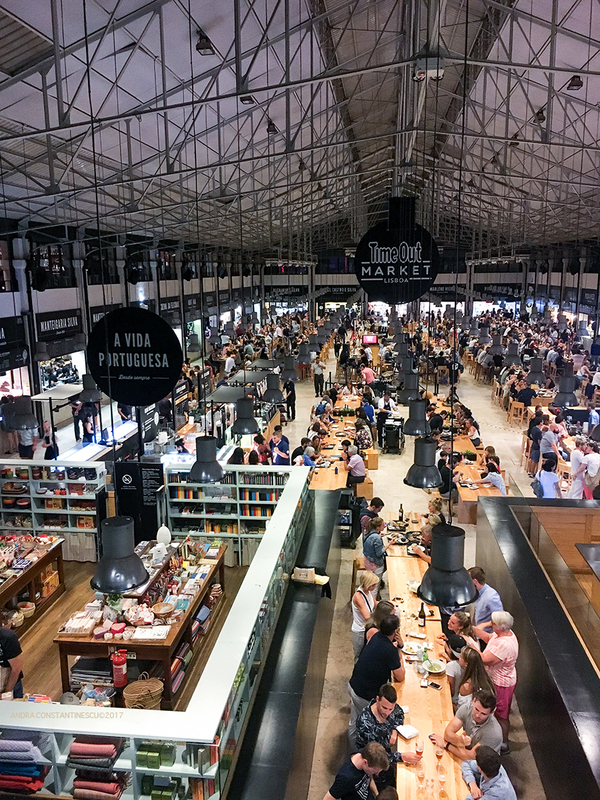 I’ve been dreaming of visiting Lisbon Time Out Market ever since I knew it has opened. So when my best foodie friend Monica aka Foodie Family invited me to join her on a (foodie) trip in Portugal, I didn’t think twice. We arrived late in the evening, but the place was loud, and crowded and buzzing. But it was a good king of buzz – that kind that gets you all excited and makes you want to taste a bit of everything. And by all means, it is so hard to decide. We started with some amazing sardines on toast with roasted peppers: simple, but bursting with flavour. Now I’m all in for fine dining and experimental cooking, but there are the simple things that never cease to amaze me. Probably that’s because when it comes to simple cooking there’s really no place to hide. It is all about best ingredients cooked to perfection. And with so much fresh products available literally next door (there’s a farmers market just next to the food hall), the chefs are truly privileged. The next stop (well, cue actually), was at Tartar-ia’s stall. Their motto: ‘the place where everything is raw and everything is chopped’. To perfection – if I may add. There were 4 fish tartare options available, but we could only had 3 (as the salmon was sold out). I especially loved the sea bass tartare, for its delicate taste and perfectly balanced seasoning. 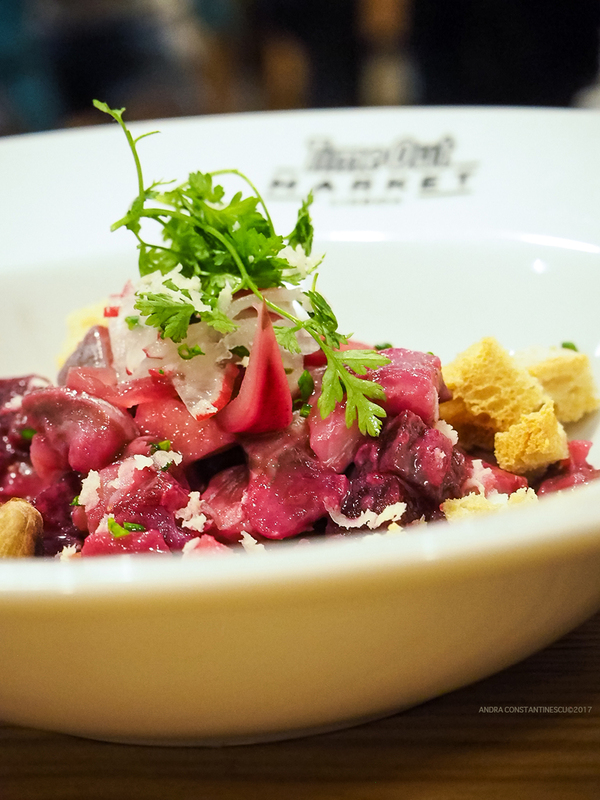 The mackerel tartare was a pleasant surprise, beautifully paired with beetroot and horseradish. 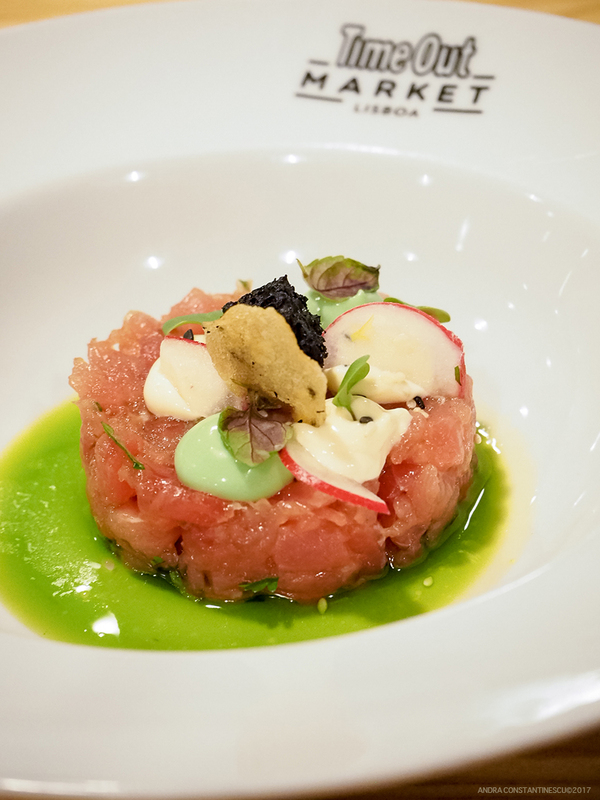 The tuna tartare was impeccable: you could tell that the fish was super fresh and of high quality, and the seasoning was spot on. 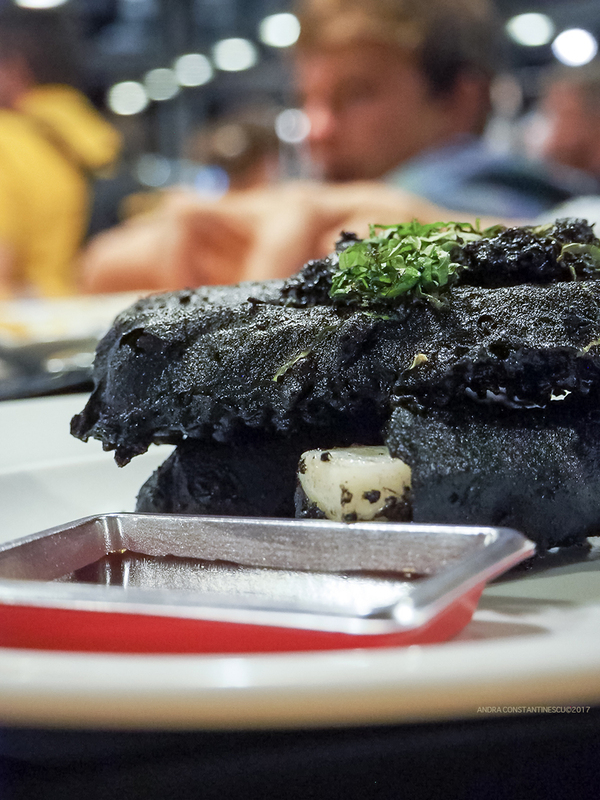 Another winner in my books was the squid in black tempura. I was soooooo tempted to ask for seconds, but I knew that there was more to come, so I had to settle for only one portion. But I did return the next day for another serving – it was just too good. Well, I also returned for the custard tarts and the sardines on toast – but that’s another story. We then continued with a selection of croquettes and a beautiful interpretation of fish and chips: small pieces of cod fried in a deliciously crispy batter and served with the crunchiest shoestring potatoes and a home made remoulade sauce. All washed up with a bottle of chilled Vinho Verde – which became my staple drink for the entire journey. In the end, it just had to be Pasteis de Nata – the addictive custard tarts served with generous dustings of cinnamon. They come nice and warm, as there’s a bakery on site that is baking hundreds of them every hour. 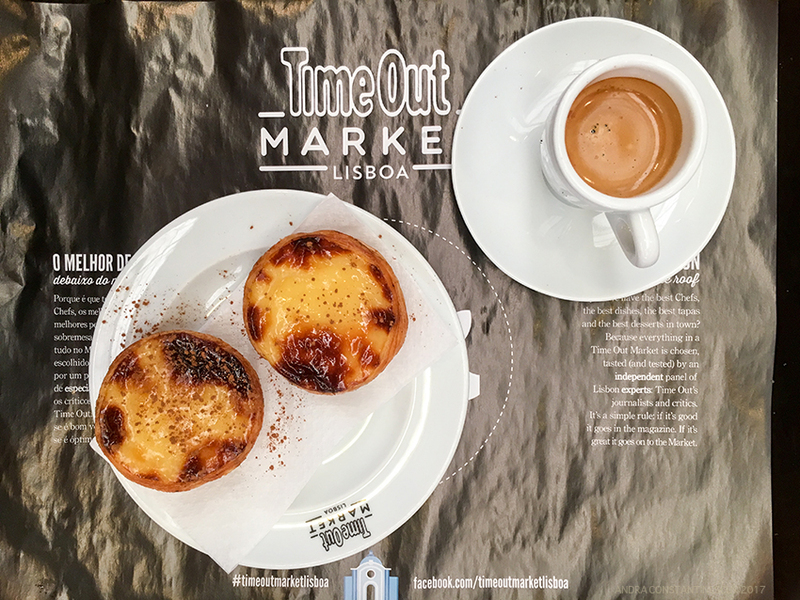 If you want to explore Lisbon Time Out Market on a slower pace, I recommend to come here in the morning (it opens at 10:00 am) and start with a coffee and a couple of custard tarts. The main food stalls won’t be open until 11:30 – 12:00, but you can watch the chefs prepping for service, or you can wander around the other shops to look for some souvenirs. This was definitely one of my favourite places in Lisbon. Such an amazing variety of tasty dishes! It was so hard to decide what to eat that we had to go several times and try as many dishes we could.